Man reminds community to stay alert on Monon trail. BROAD RIPPLE — Jack Kennady starts each day on the Monon. He's an avid biker and takes the trail downtown to work. As he came closer to downtown, something happened that caught him completely off guard. "I was on my daily commute from south Broad Ripple," Kennady said. He had just about reached his destination around 10th Street, when he came up on another bike rider heading his direction on the wrong side of the trail. "This is where it gets kind of weird. He was on a small bike, pushing a big metal meat smoker... while he was riding his bike. It was very odd," Kennady said. "He pulled his bike back and threw it into mine, and so that knocked me off my bike. I went over my handlebars." Kennady was on the ground as the man stood over him and said that he wanted Kennady's bike. Kennady took off and called 911. Now, his Surly brand Black Karate Monkey bike is gone. It's his only mode of transportation. 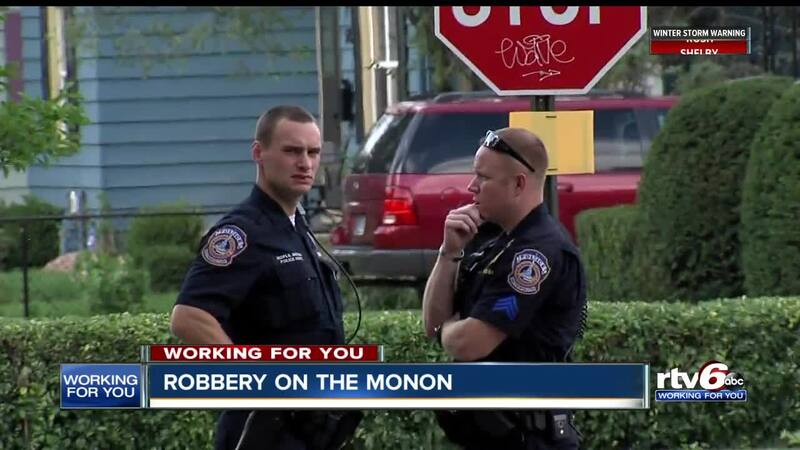 He's seen police patrolling the Monon, even during the winter months. But, Kennady says he will now be biking with a buddy. "If you do feel unsafe, then get a buddy to ride with. That's what I'm gonna do from this point on," he said.